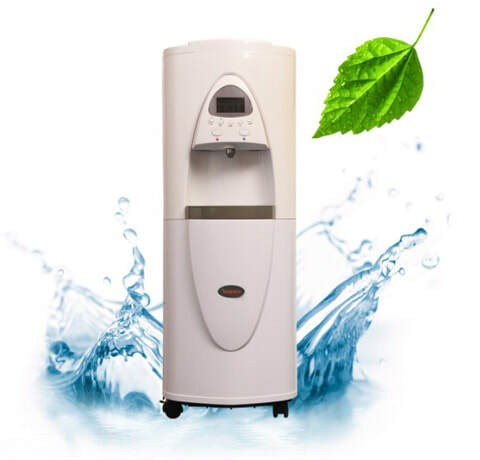 Bottleless Water Cooler – What is it? The Jayson Unbottled Water System — no more expensive bottled water, no deliveries and no wasteful plastic bottles. Just healthy, delicious UNLIMITED drinking water! A bottleless water cooler is highly efficient water cooler that has no big, cumbersome bottle sitting on top. It draws water directly from your home or business water source and filters it on the spot, providing an unlimited supply of chilled (or hot) excellent quality drinking water for just a fraction of the cost of bottled water. Take the Bottled Water Test! Don’t have space for a standing cooler? A tabletop bottleless water cooler is the perfect answer! Will it cost less than bottled water? Your water cooler or individual serving water bottles are very likely costing you a “fortune” — at an average cost of $1.22 per gallon, while bottled water costs 300 times the cost of tap water! 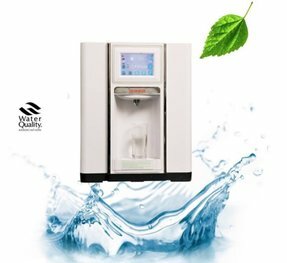 A Jayson Bottleless Water Cooler rental or purchase is extremely cost-efficient because it can provide an unlimited supply of purified drinking water that is typically far superior to bottled water. Can I save time and effort now wasted on bottled water? Consider how often you buy and lug heavy bottled water or wait for bottled water deliveries. A Jayson Bottleless Water Cooler is a one-time installation, providing an unlimited supply of excellent quality water. Will it save space wasted on bottled water storage? Whether for home or office, storing bottled water takes up a lot of space and is inconvenient, unsightly and uses expensive floor space. The more water you use, the more space it takes. A Jayson Bottleless Water Cooler is compact and extremely space efficient no matter how much water you use with no wasted space. Can a Bottleless Water Cooler help prevent plastic waste generated with bottled water? Around the world bottled water has created a massive waste problem. Plastic water bottles produce up to 1.5 million tons of waste each year. Over 80 percent of plastic water bottles end up in landfills, in our waterways and ultimately, in the ocean. Since each water bottle takes over 1,000 years to biodegrade, they will never go away. A Jayson Bottleless Water Cooler produces NO plastic water bottle waste. ​ To learn more about a Jayson Bottleless Water Cooler, call 855-JAYSON1 or Contact Us today. Don’t have space for a standing cooler? Countertop is the perfect answer! Durable, large capacity point of use cooler that fits on kitchen or office counters. Fixed 2.5 Gallon Stainless Reservoir. Various filtration solutions are available and adaptable to all of our POU coolers. Adaptive to most filtration systems. Available in Bright White (WHI) & Black (BLK).